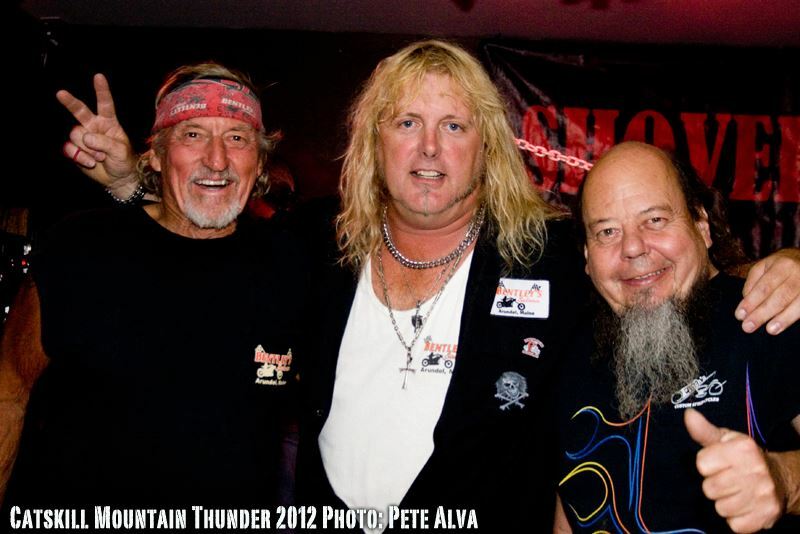 Hey SHOVELHEAD fans.... been a while, we took a little time off after a busy spring,summer and fall touring. Our first gig of 2013 is coming up on Saturday January 19 2013. We will be at the Springfield Motorcycle Show at the Big E 1305 Memorial Ave West Springfield,Ma. we will be there with our good friends from the band "Bad Habit" and also the band "man the Builder". Ron Finch Master bike builder will be at the Motorcycle show..., we Do our annual Catskill Mountain Thunder Motorcycle festival with Ron every September..., along with a lot of other great bike builders, including Rich Pitoniak Custom Cycles out of Chicopee, ma..
SHOVELHEAD has a new website.... www.shovelheadlive.net scope it out, for pics, music, and info on the band... also, check out the band on some of Pitoniaks Custom cycles "Shovelheads" on our home page... hope to see you out at the Springfield Motorcycle show.... its a great show with lots to do and see!!! !